Scientists at the University of Southampton have shown that higher muscle mass is strongly linked with healthier bone development in children. Researchers also found no relationship between fat mass and bone development, indicating it is not an important factor in childhood skeletal strength. A new study, published in the journal Bone, by researchers from the University’s Medical Research Council Lifecourse Epidemiology Unit shows a link between the amount of lean muscle and healthy bone development, indicated by the size, shape and density of limb bones, in children at ages six and seven. Detailed measurements of 200 children enrolled in the Southampton Women’s Survey were taken soon after birth and then again at ages six to seven years old. 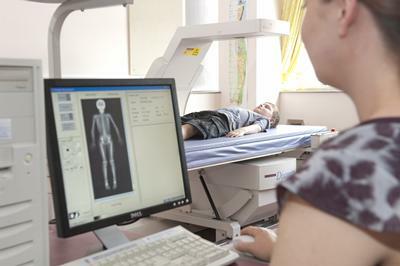 State of the art scanning equipment was used to assess bone mineral density, shape and size of the tibia (the shin bone), and body composition. The team also found that the relationship between changes in lean muscle and bone development was stronger in girls than in boys, despite the ages of the children ruling out the onset of puberty as a factor. Professor Cyrus Cooper, Director of the MRC Lifecourse Epidemiology Unit, said: "This is a wonderful example of a biomedical discovery made by combining state of the art imaging methodologies with the world leading population science, for which Southampton has an established international reputation."